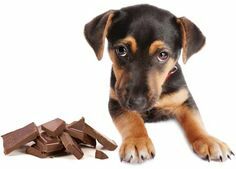 Pet owners often tell us how much mixed information they read on just how toxic chocolate really is to their pet. But not all chocolate is equal. In this video Dr. Becker explains what ingredients in chocolate make it so toxic and why you should be so concerned if your pet has digested any, as well as what kind. Also check out this Chocolate Toxicity Meter to have a better understanding between the kinds of chocolates.